The inspiration behind the brand, Oscar and Hooch are 2 delightful chocolate Labradors, eleven years old and still full of beans. 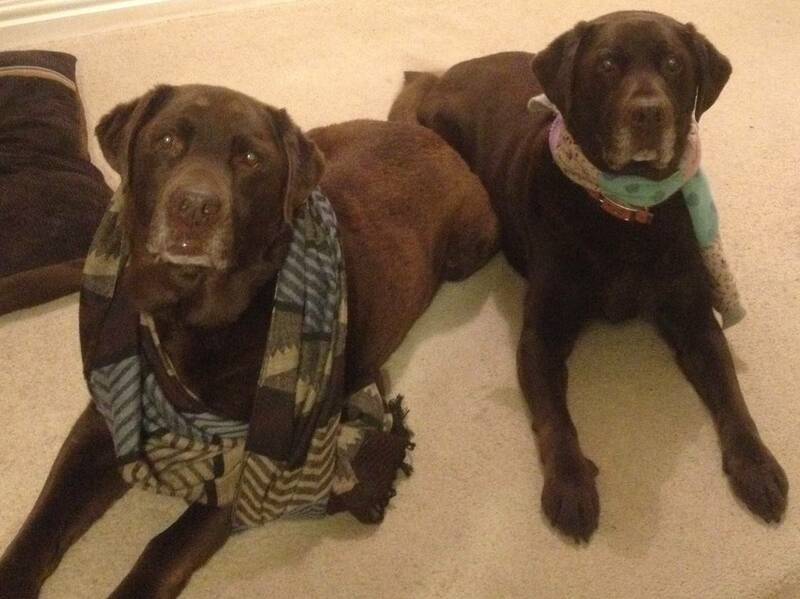 They bravely decided to dress up for ‘Dress Up Your Pet Day’ but after much debate they settled for fairly safe scarves. We did try and encourage some more elaborate outfits (hats were as adventurous as we dared) but very quickly Hooch made it clear that this game wasn’t for him! Oscar as always followed suit.